Time for another edition of musical lookalikes. And this isn't apropos of nothing, either. I've got a review upcoming of my recent TV on the Radio experience. It's been a long-harbored observation of mine that two gentlemen--each of whom I could only refer to as "the guy from (x)"--were a lock for this feature. And finally I have my excuse. 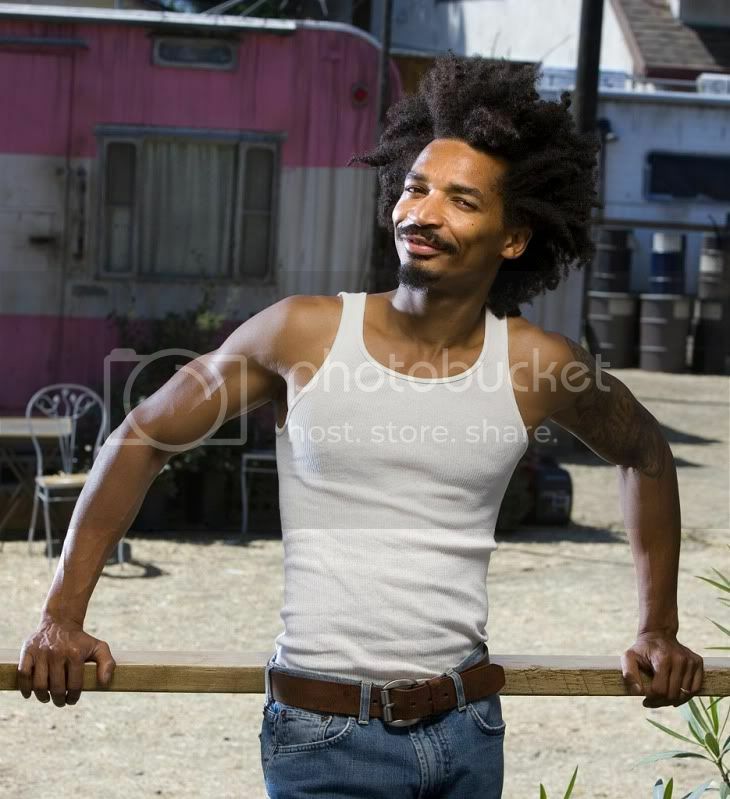 Folks, I give you character actor Eddie Steeples--most notably from My Name Is Earl--and TVOTR jack-of-many-trades Jaleel Bunton. 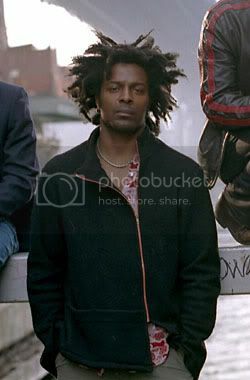 "Oh, so they look alike because they're both black guys with dread-fros? Do you only notice vague superficialities, you asshat?" Look, this feature is not based on anything more than loose criteria consisting of such vague characterizations. It's obvious that the two share a silhouette at first glance, and comparing them isn't some biological commentary on race or culture.